A rover found building blocks for life on Mars, NASA announced this week, but our fascination with alien life on the red planet began long ago. In 1877, Italian astronomer Giovanni Schiaparelli turned his telescope to Mars and saw signs of a potentially lush world. He would publish his observations of what he believed to be “seas” and “continents” on the Martian surface. He also described channels (later found to be an optical illusion) or canali in Italian. Schiaparelli’s canali was then translated into the English canals, which implied construction by intelligent inhabitants. 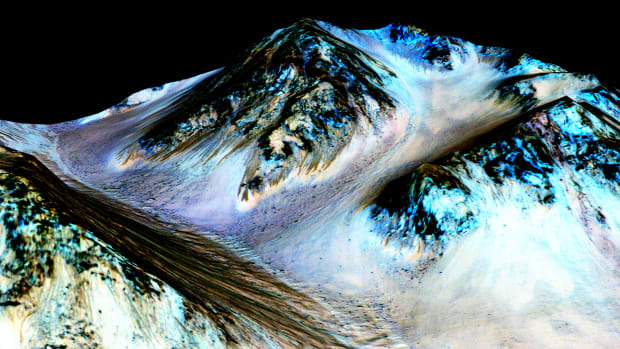 Humans have been on the hunt for signs of Martian life ever since. 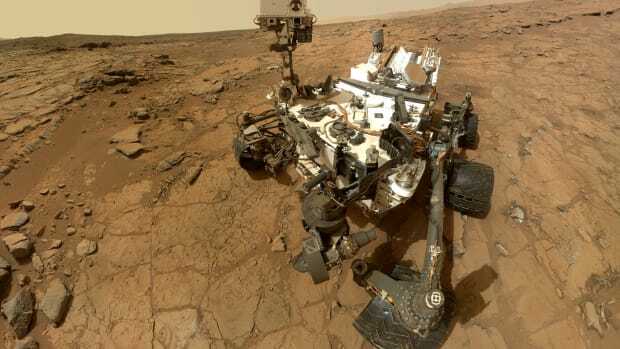 In fact, the search for Martian life forms that started in the late 19th century reached a milestone this week, when NASA scientists revealed that the Mars Curiosity rover discovered traces of organic material—the building blocks of life—in a mudstone deposit at Mars’ Gale crater. Whether or not these molecules lead to the discovery of actual life, or a fossilized record of life long ago, the finding arrives after a long, storied fascination with the concept of life on Mars. Schiaparelli mused about the possibility in his 1893 journals, in which he describes how the other planets are too close to the sun or too far away to harbor life. 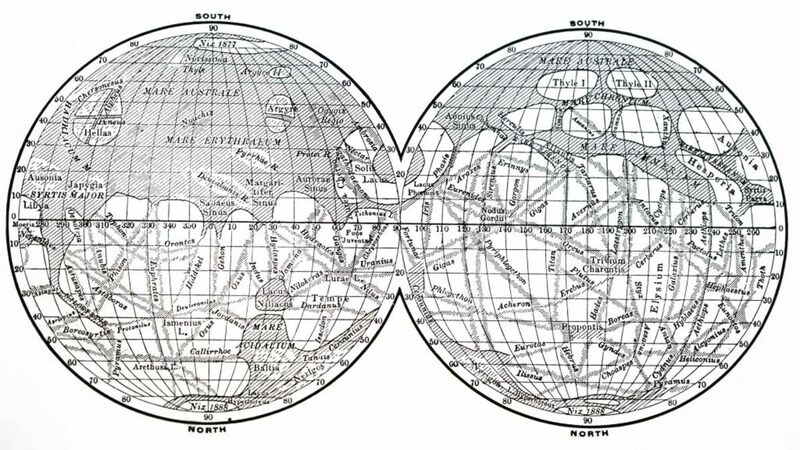 American astronomer Percival Lowell read these journals, and pushed the idea even further, writing in his 1908 book “Mars as the Abode of Life”that a Martian civilization built these “canals” from the poles to the equatorial regions to transport water. For the next several decades, articles in various science magazines came up with schemes to signal Mars’ elusive civilization. The proposals ranged from using massive mirrors to reflect the sun’s rays to Mars,installing a system of black strips of cloth over the Sahara Desert to block reflected light and “wink” at the Martians, and stringing up a massive array of electric lights to generate a signal. While some devised ways of sending signals to Martian aliens, in 1899, Serbian-American engineer and physicist Nikola Tesla announced that he may have received a signal from Mars. The signal was in the form of cosmic radio waves picked up by his instruments, although later research would reveal they were radio waves emitted by interstellar gas clouds. The fever over Martian life culminated with the 1938 radio dramatization of H.G. Wells “War of the Worlds,” a realistic-sounding re-enactment hosted by future film director and actor Orson Welles. Welles’ broadcast inadvertently panicked much of the listening audience who became convinced that ray-gun wielding Martians had landed in New Jersey. After World War II, life on Mars became fodder for science fiction novels, Hollywood movies and comic books depicting menacing Martians. 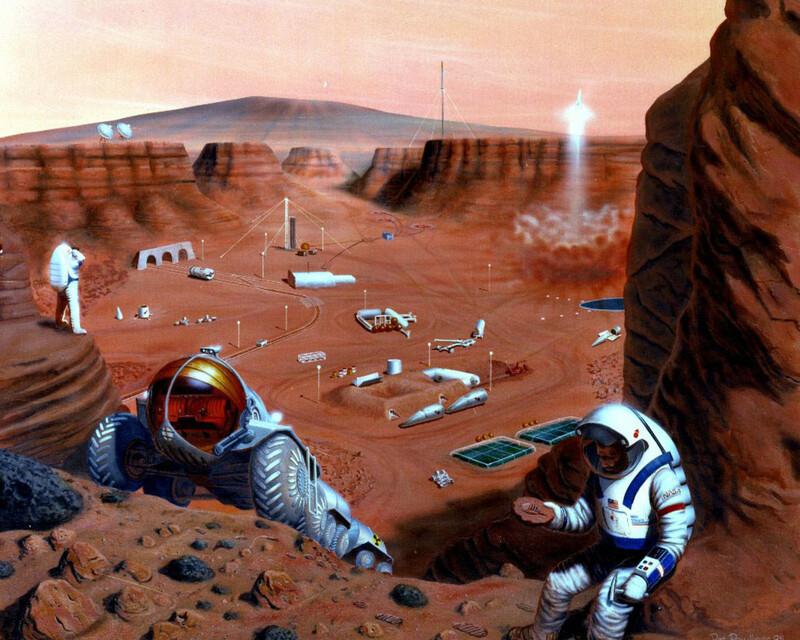 During this Cold War period with the former Soviet Union, much of the fascination with the red planet became wrapped up in America’s collective fear about communist invaders as well. The frenzied ruminations about complex life on Mars got a reality check in 1965 when NASA’s Mariner 4 mission photographed Mars’ surface, finding no Martian cities or even any signs of simple biology. 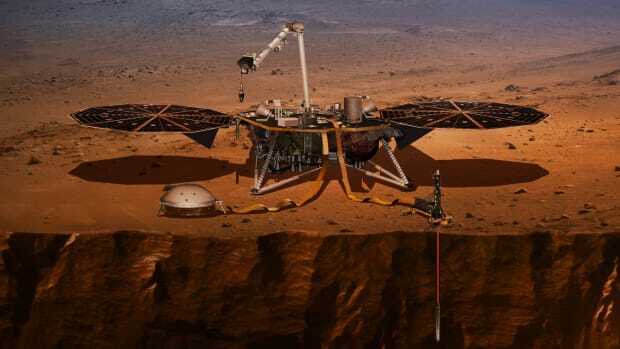 NASA then launched the Viking lander to the surface of Mars in 1976. 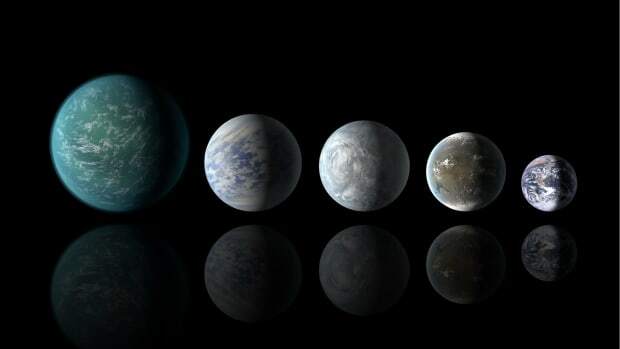 Its main mission was to find some signs of life—microscopic or otherwise. It failed. In fact, all the images relayed by the NASA missions from Mars to Earth suggested that the red planet was nothing more than a barren wasteland. 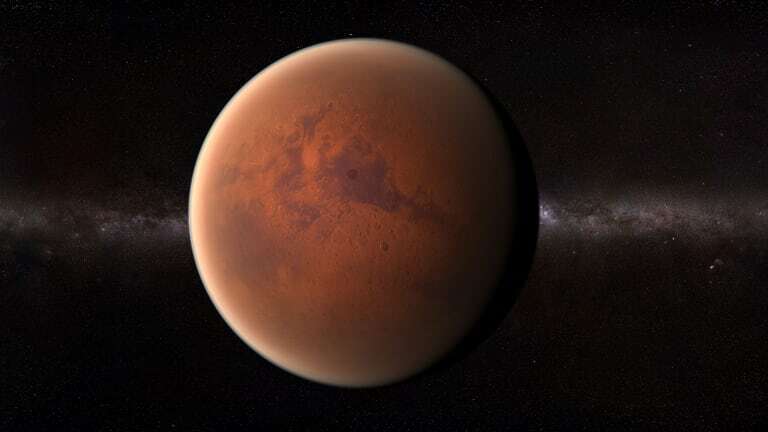 Fascination with Martian life did not totally fade, however, and in 1996 a meteorite stirred up hopes, once again, that life may have existed on the red planet. 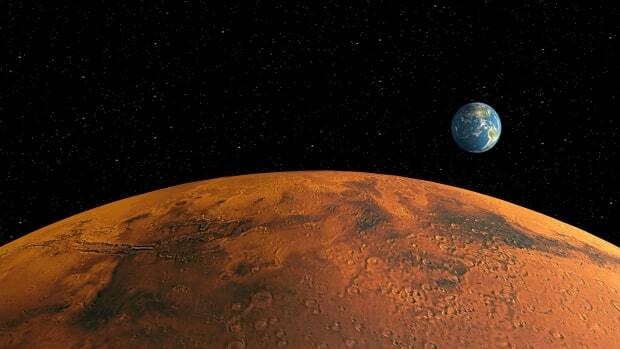 A study in Science suggested that meteorite ALH84001 contained possible traces of primitive Martian bacteria. While some contested that the microfossils had been formed in the rock during the meteorite’s time on Earth, the finding nonetheless reinvigorated the hunt for signs of ancient Martian life. Since life—as we knows it—requires water, NASA engineers devised a new series of missions to follow the water. That led to the 1997 Mars Global Surveyor spacecraft and the Pathfinder rover, followed by the Spirit and Opportunity rovers. In 2013, the Mars Curiosity rover landed in an ancient lakebed. 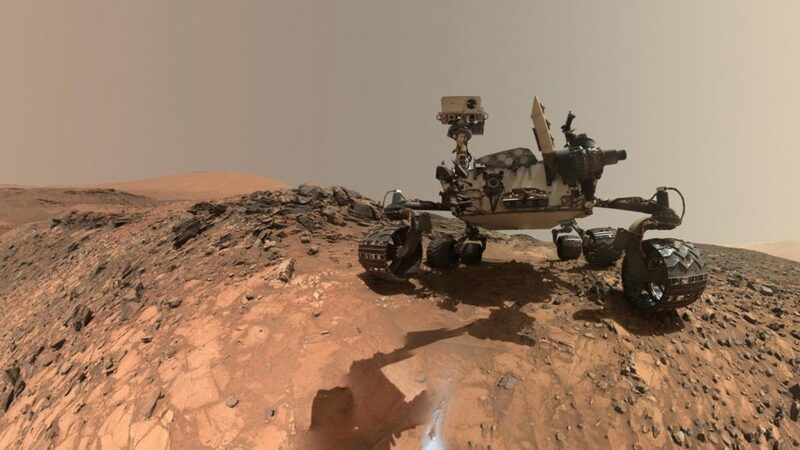 Drilling into rocks and sedimentary layers since then, Curiosity has found that this spot once hosted calm fluid waters with a gentle chemistry that might have supported life. 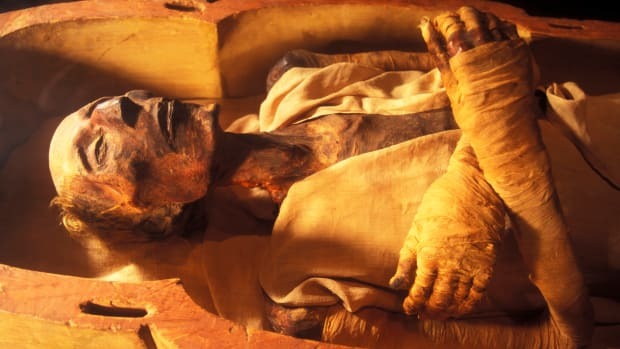 Emily Lakdawalla, senior editor at the Planetary Society says that scientists continue the elusive hunt for life on Mars because it is a test case for the existence of life in other parts of the universe.